Please contact newt@communicationdojo.com if you have any questions or feedback. Note: We encourage you to register soon to ensure your space. When this class has reached its capacity, we will begin a waiting list. After registering you will receive a confirmation email. Many people fall into “fighting” or “arguing” even when they don’t really want to. This is a great place from which to start, though. If you and another person have a shared desire to change, you’re in a great place to actually make rapid change. It’s useful to have a starting point that’s pretty quick to learn — a simple set of guidelines you can stick to when you feel yourself sliding down that slippery slope, or when you know in advance that tension and disconnection are likely. 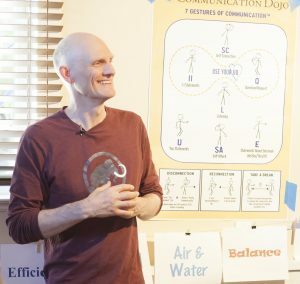 At the Communication Dojo we often refer to Nonviolent Communication as “Connected Communication” – so as to always keep it in mind what we’re aiming for when in dialogue with someone. Ali and I have taught Connected Communication, including the Connected Conversation Process, to many people in the years since, and we’re both now very excited to take our teaching to a wider audience in this 10-week online course. The Newt & Ali factor… Newt and Ali have received feedback over the years about their way of demonstrating the skills – expressions like “practical,” “down-to-earth,” “easy to accept and apply.” This has helped many people see that they too can make the changes they want to their communication. Since 2006 Newt has been facilitating NVC groups, and leading intro classes and class series like Empowered Communication 1&2, and his own Communication Dojo classes, in public and organizational settings, and with prisoners and parolees. He has led retreats using John Kinyon’s “Mediate Your Life” methodology in both the US and Europe, joined Miki Kashtan for the “Conflict Hotline” TV shows and “Making Collaboration Real – NVC in the Workplace” yearlong program, and was the guest co-leader in the annual NVC Santa Cruz “FUNfest” Summer Retreat. 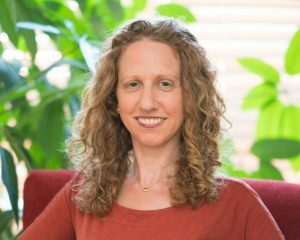 Ali Miller provides psychotherapy and communication workshops in her Berkeley, CA private practice, where she helps people cultivate the self-compassionand communication skills it takes to create and sustain satisfying relationships. Ever since studying alienation and social change in undergrad, she has been devoted to helping people live more authentic, empowered, and connected lives as a way to challenge the status quo and create cultural change. Ali also provides NVC in the Therapeutic Setting trainings to mental health professionals at conferences, agencies, and out of her office. She is the creator of the website Befriending Ourselves: Resources for Inner Peace + Compassionate Self-Care, which is now being turned into an e-book. Learn more about her work at www.AliMillerMFT.com.